You are currently browsing the archives for the tag 'Schiaparelli Haute Couture'. 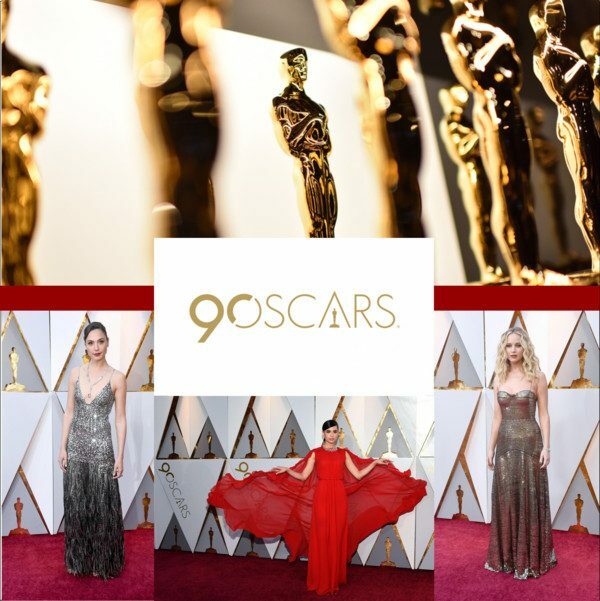 Last night the 90th Annual Academy Awards ceremony took place, the most prestigious event of the Hollywood awards season. «The Shape of Water» won Best Picture and Frances McDormand and Gary Oldman won both the award for a Leading Role. But who were the winners of the red carpet, who stunned in her gown? Below are my favorites and some that I personally didn’t like. Enjoy! My personal winner: Emily Blunt in Schiaparelli Haute Couture with Chopard jewelry. Such a beautiful look! 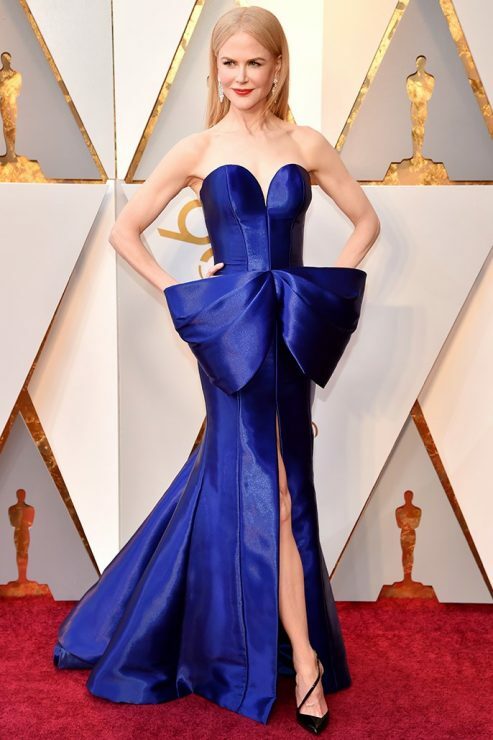 The most elegant of the night: Nicole Kidman stepped out with definitely one of the highest leg slits at the Academy Awards in a sweetheart-neck, cobalt column gown by Armani Privé with a giant bow! Another dream in blue: Jennifer Garner stunned in this cobalt hued gown by Atelier Versace that she combined with Piaget jewelry. This woman is a stunner: Jane Fonda, 80, looks amazing as she wows Oscars 2018 with youthful appearance in a white pearl-dust beaded gown from the 44 François Premier collection, the new eveningwear capsule by Olivier Rousteing for Balmain on par with couture, with Chopard jewelry, Salvatore Ferragamo shoes and a Perrin Paris bag. The only thing that I would add is a little of lip color. 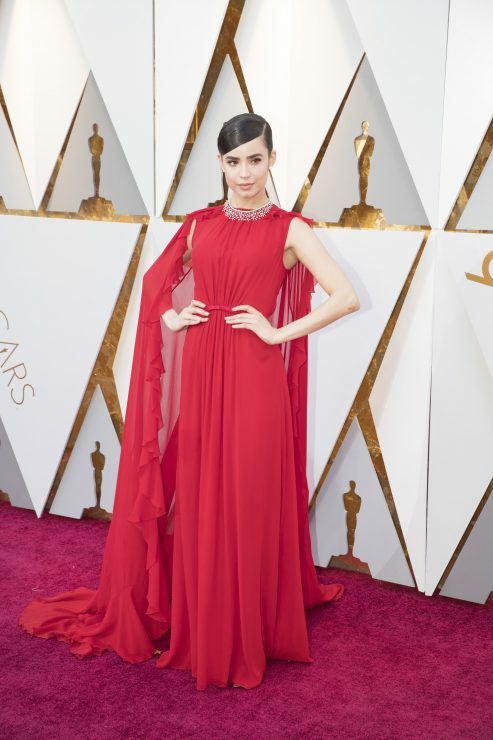 One of my personal highlights: Disney Star Sofia Carson kicked off her first Oscars appearance in a stunning red gown from Giambattista Valli‘s Resort 2018 collection. The cape style is just breathtaking. 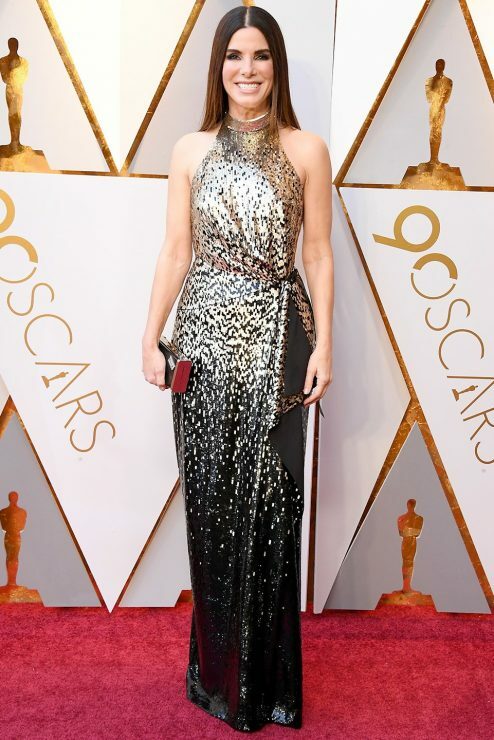 Not nominated this year but definitely but dress-wise a winner: Jennifer Lawrence brought the sparkle in a metallic Dior gown which she paired with red-carpet curls that gave the look a modern appeal. Another metallic option: Wonder Woman Gal Gadot wore a Givenchy Haute Couture gown that she combined with a stunning necklace by Tiffany & Co., that is part of the Blue Book High Jewelry Kollektion (aquamarine/61 carat and diamonds), and which will officially be launched in October 2018. Let the jewels talk: Helen Mirren looked breathtaking in this elegant blue style by Reem Acra. She wore more than $3.8 million worth of Harry Winston sapphires and diamonds including: a cushion -cut sapphire and diamond necklace (115.27 carats), cushion-cut sapphire and diamond earrings (25.22 carats). Safe option: Margot Robbie wore a Chanel Haute Couture gown that featured an elegant train. An unexpected color that stood out from the rest: Greta Gerwig in a Rodarte custom made gown. The most beautiful curves: Presenter Salma Hayek Pinault wore a custom Gucci lilac sequins gown with ruffled tiered skirt, jeweled chandelier embroideries, metallic high heel shoe and clutch with crystal butterfly closure. The only thing I am not sure about is her hairdo of which I am really not a fan. Definitely elegant but not my favorite: Saoirse Ronan in a pink silk faille strapless dress with a voluminous bow by Calvin Klein by Appointment was nominated for the Academy Award for Best Actress in a Leading Role for her part in the film Lady Bird. 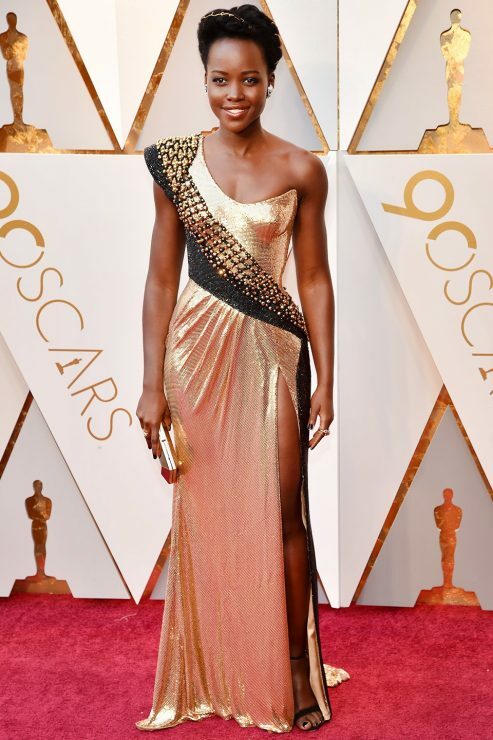 Golden Girl: Lupita Nyong’o in a golden mesh dress with black and gold embellishments by Atelier Versace. Absolutely gorgeous like a Grecian goddess: Zendaya wowed in a one-shoulder, chocolate-colored billowing gown by Giambattista Valli Haute Couture. Back after her last Oscars appearance in 2014: Sandra Bullock walked the red carpet in a custom silk gown from Louis Vuitton which I personally find very beautiful. But! What has happened to the actress’ face please? My personal biggest disappointment: Emma Stone showed up in a silky Louis Vuitton suit with a hot pink sash. She finished off the look with a deep side part and sparkly drop earrings. I don’t have anything against a great pantsuit on the red carpet but it has to fit perfectly and really be black tie perfection. This ensemble doesn’t do good for Emma. What a pity! Photos: © Getty Images, Courtesy of Armani, Chopard, Tiffany & Co., Harry Winston, Gucci, Louis Vuitton, Givenchy, Versace, Piaget and Chanel.